Set on the hillside overlooking Falmouth Harbour and the Antigua Yacht Club Marina is the new and exclusive development of the Antigua Yacht Club Marina Resort. Built to exacting architectural standards and set in beautiful tropical landscaped gardens, the resort and apartments have unrivalled panoramic views of Falmouth Harbour and the multi-million dollar yachts who visit yearly. The location is perfect for vacationers looking for easy access to tranquil beaches, superb sailing, and turquoise clear waters. 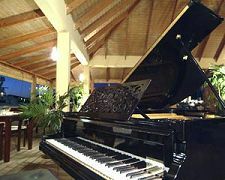 The resort consists of an intimate 19 room hotel alongside 36 single or double suite studio residences. Please visit our website for more details and to enquire about rates. The Antigua Yacht Club Marina is one of the largest marinas on the island offering full yacht services, moorings, shops and restaurants. 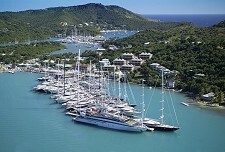 The Marina is home to Antigua Sailing Week, Classic Week and the Antigua Charter Yacht Show.